This time we focused on creating some highscores for users and companies. The newly added highscores can be found in the side menu bar. 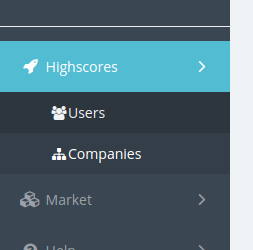 There are highscore tables for users and for companies. They get automatically updated in blocks during the day. New Achievements for the user highscores were added. You can now input the cash sum and use a button to set the number of shares to trade. 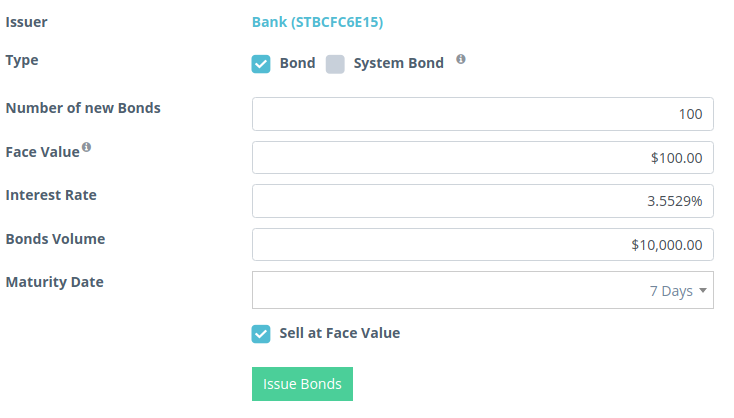 Issuing bonds by entereing the cash sum is now possible too. The company selection and the cash infos were moved to the sidebar, hence there is more free space for showing market information on the desktop in a future release and the layout isn't broken on mobile phones.